It’s true! There really is a Shark about in the Shoreham area of Sussex! 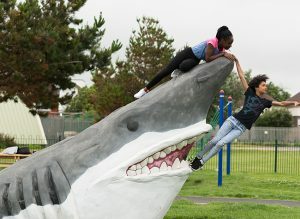 Taking centre stage on a totally revamped play area at Fishersgate Rec, this brilliant Wicksteed-designed Shark’s Head Climber is really causing a bit of a stir! 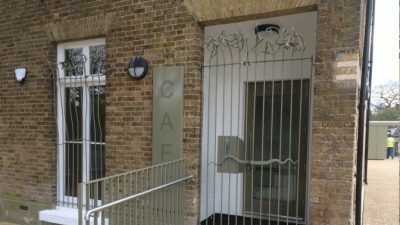 The park is very much at the heart of the community and volunteers from Friends of Fishersgate Rec (FoFR) raised funds tirelessly to replace old, outmoded existing equipment on site. 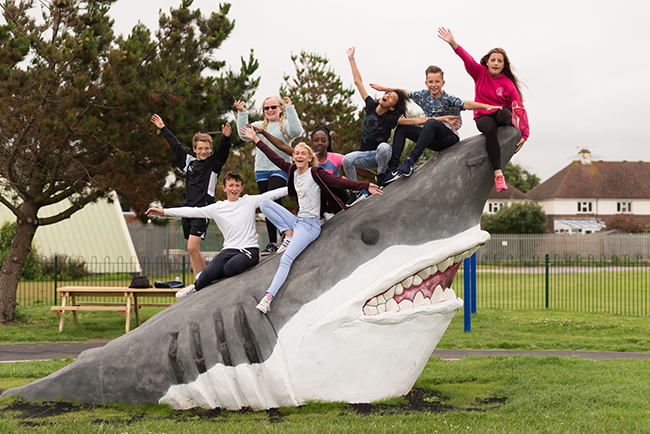 Together with extra funds from Adur District Council and grants from both Shoreham Port Regeneration and Veolia, the exciting project has now been completed and is proving to be a very popular place for children of all ages and abilities. Famous for its bespoke service and inspirational creations, Wicksteed was commissioned to design and install the fantastic new scheme to keep both toddlers and older children happy and energised and the team shaped a unique look and special identity for this much longed for, rejuvenated playground. Genuinely jaw-dropping and standing 2.5m tall, the Shark’s Head rises out of the soft surfacing, its enormous teeth shining from its massive jaws as it challenges the most daring of visitors to clamber up on to its sharp snout! Alongside the scary Shark, other challenging, diverse and innovative products such as a Wide Slide on a Mound, an exhilarating Cableway and an interlocking series of logs called Pick Up Sticks are also installed. Fishersgate is the largest green space in the area for local residents and this £97k project has made a huge difference to outdoor play and fitness provision. 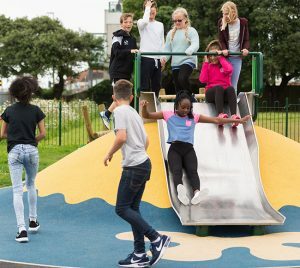 Wicksteed’s capacity and imagination to provide unique, bespoke playgrounds really is second to none, so find out more here www.wicksteed.co.uk or contact the sales team via sales@wicksteed.co.uk to book a free consultation. Visit the Shoreham Shark… if you dare! !